This year we hosted the second annual “An Evening with the Sandra Joseph All-Stars” on Thursday, August 23, 2018 at the Sussex County Community College Performing Arts Center. 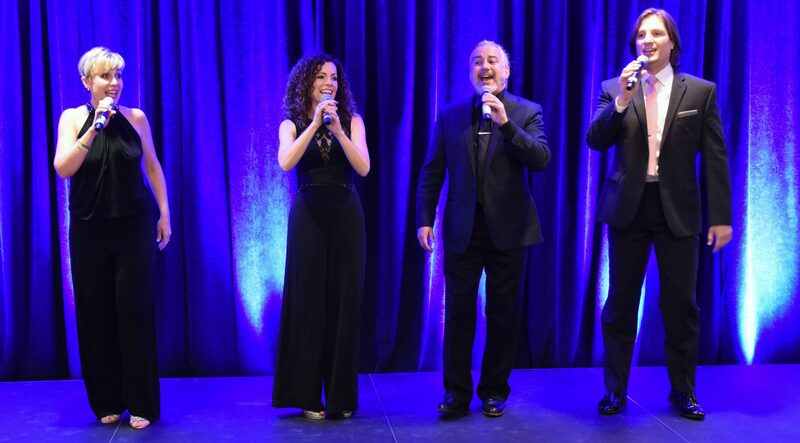 Attendees enjoyed a magical evening of Broadway hit songs performed by Broadway stars. Imagine enjoying Broadway without the hassle of going into NYC! The evening featured Sandra Joseph, who starred in The Phantom of the Opera for ten years, holding the record as the longest-running Broadway show of all time. This year we also hosted “Nerd Alert!!! The Nerds Rock for SCARC” on Thursday, October 11, 2018 at the Sussex County Community College Performing Arts Center. The Nerds are America’s Rock & Roll FUN-OMENON. Often imitated but never duplicated, The Nerds have been redefining what it means to be a cover band since 1985. Over the years, Spaz, Biff, Stretch, and Mongo have graced stages from the Jersey Shore to Las Vegas.